Fast truck insurance, the way it should be. The best insurance rates for truck drivers with varying requirements. 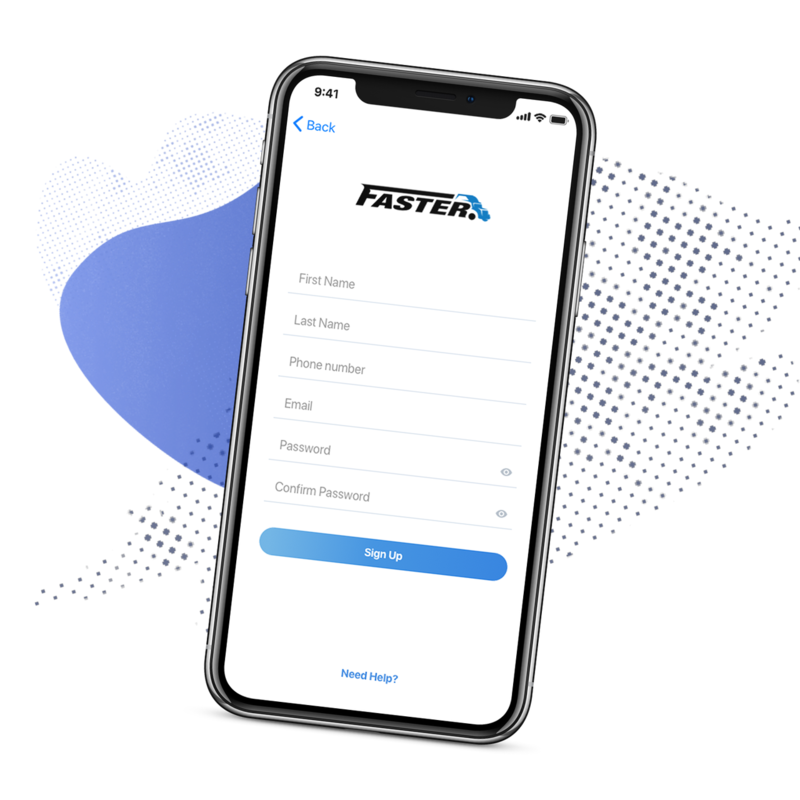 Faster Insurance is a mobile application that aims to modernize the insurance process for owner operator truck drivers. No need wait days ot have the hassle of back and forth with an agent. This is insurance on demand and instant. 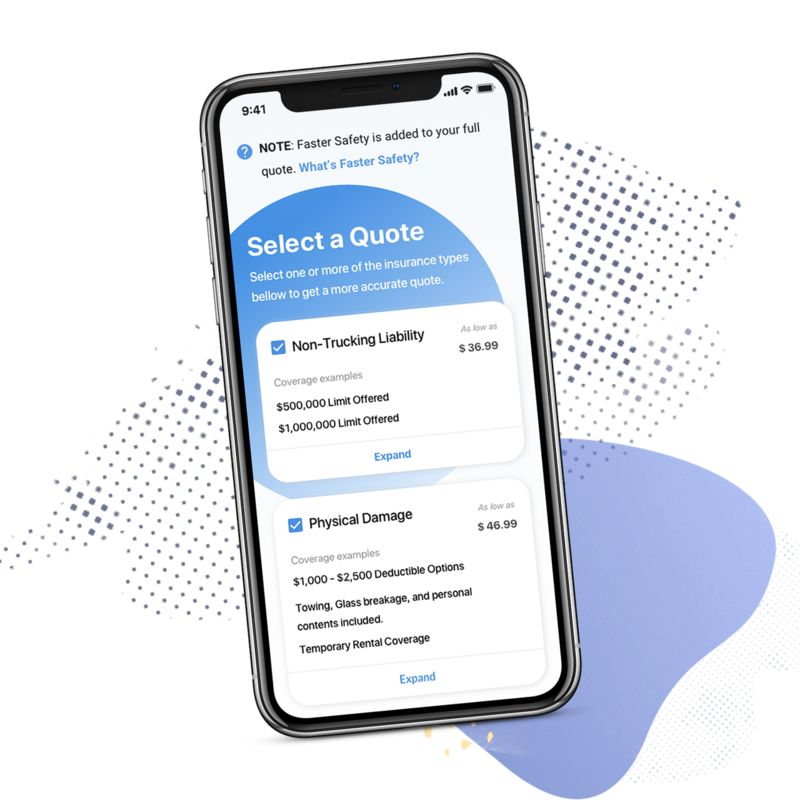 Drivers will be able to get non-trucking liability, physical damage, and occupational accident quotes in minutes! We are National insurance brokerage specializing in insurance options for truck drivers. 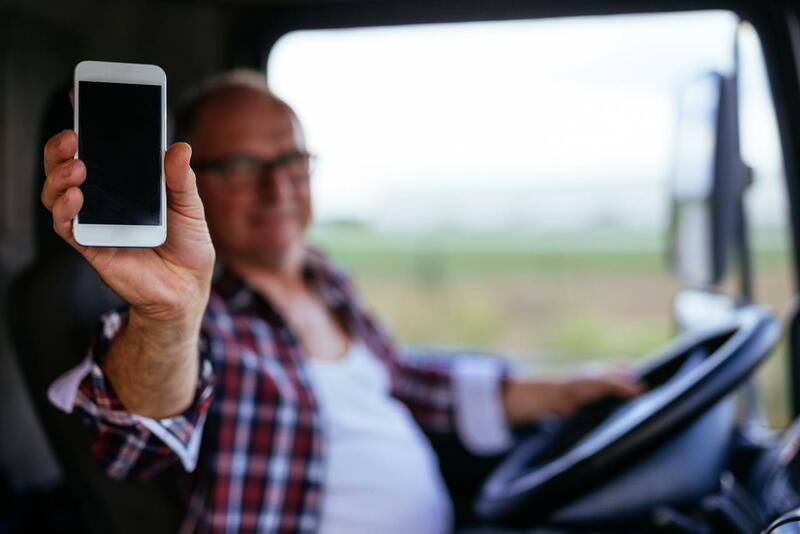 Find the perfect insurance for your truck - all from your mobile phone. 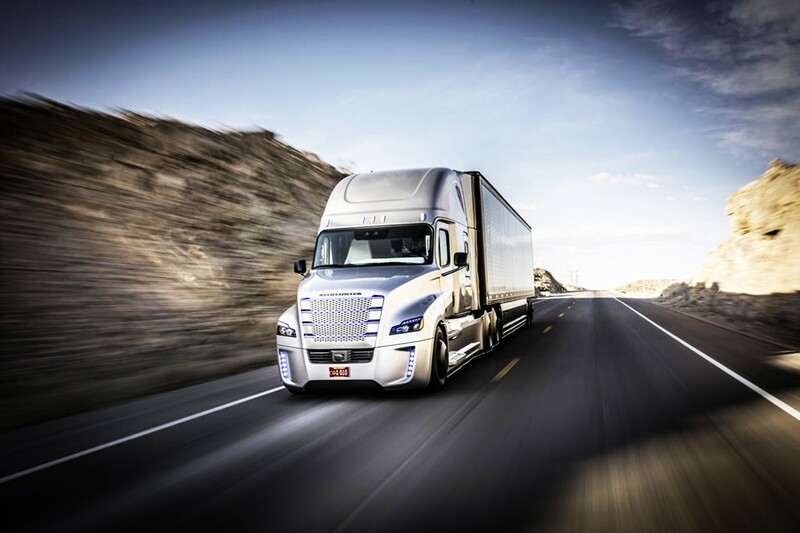 We analyze your insurance needs and consult our team of providers to create the best possible insurance program for your unique needs as a truck driver. In doing so, we help you save money. Better coverage for less money. Because we run our business efficiently, we pass along these savings to you. Win! Welcome to: the Faster Mobile Insurance Application. Finding the right truck insurance is about protecting you from liability, protecting your truck and keeping you safe, too. We'll help you find the perfect truck insurance quote for your unique situation in minutes! Intuitive and simply designed, this app helps you find the best coverage you need. Our app walks you through in a simple design and can actually see the quote prepared for you in minutes. No need to wait days. Plus, it all happens in the palm of your hand, on your time. Day or night. Research your insurance types. Pick the quote that works for you. Faster Insurance offers three core coverages. Non-Trucking liability, physical damage, and occupational accident coverage. These are the basic coverages you need as an owner operator truck driver to operate your business. Find the perfect insurance for you. Finding the right non-trucking liability is essential. This coverage protects you while you are not under dispatch for 3rd party bodily injuries and property damage. Your truck is your living. It is essential we protect this valuable asset. Physical damage is comprised of comprehensive and collision coverage. This covers your truck for accidents that can happen while driving. Accidents happen. This is why you want to protect yourself from injuries on the job. Occupational accident covers you for injuries you sustain while driving your truck. Faster Insurance is a mobile app that offers insurance directly to truck drivers. Because we go directly, we often do for better prices. Can I switch to Faster if I already have insurance? At Faster Insurance we are proud to serve the trucking community. We offer coverages such as non-trucking liability, physical damage and occupational accident. What is Non-Trucking Liability coverage? If you're under permanent lease to a motor carrier that provides your primary liability coverage, you could benefit from our Non-Trucking Liability (NTL) coverage while using your truck for a non-business purpose. NTL kicks in when you use your truck on your days off for things like going to the movies, picking up groceries, attending sporting events or visiting friends. It can pay for medical and other expenses associated with injuries to others or damage to other peoples' property that you cause. NTL doesn't provide liability coverage for business use or when hauling any type of cargo. Driving to and from the terminal, fueling up, traveling for maintenance or vehicle servicing, driving during layovers, dead-heading (driving without a load), and washing your truck all might be considered using the vehicle for a business purpose. These activities typically would be covered by the motor carrier's primary liability policy. What is Physical Damage (Comprehensive/Collision) Coverage? If you're an owner-operator driving on lease to a motor carrier who provides your primary liability, you might need to carry your own physical damage coverage to protect your truck. Why is this? Typically, a motor carrier provides primary liability coverage for owner-operators, but not necessarily physical damage coverage. When you maintain physical damage on your policy, we'll pay for damages to your truck caused by a collision, overturn, theft or natural disaster - even if you experience a total loss. In addition, this coverage isn't bound by any radius restrictions. 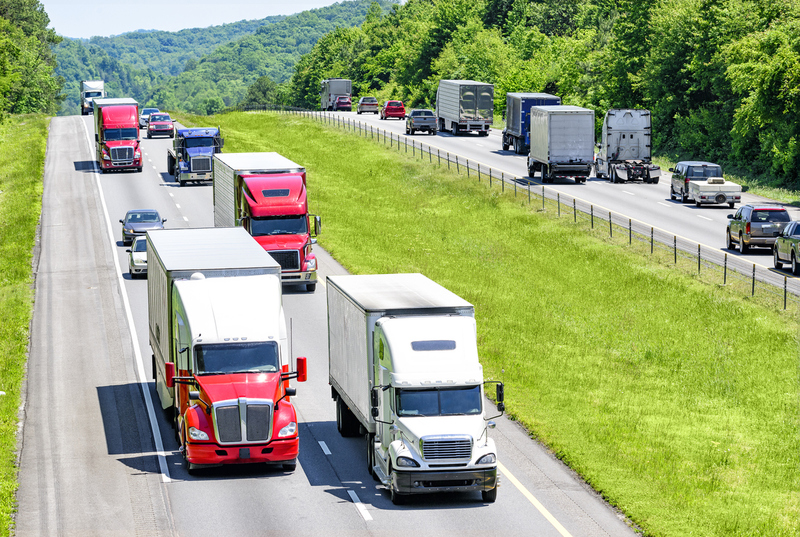 Non-Trucking Liability insurance is often incorrectly referred to as bobtail insurance. However, bobtail isn't the same thing as Non-Trucking Liability. Please review your contract or verify with your motor carrier to determine which coverage you need. When work-related injuries result in lost wages, Occupational Accident insurance can help fill the gap. Occupational Accident insurance helps to cover independent contractors who are injured on-the-job. Coverage can help pay for medical bills, death benefits and replace certain lost wages. The best way is to email us at info@fasterins.com or to call us directly (563) 564-2002. We accept all major credit cards directly through our app. How do I purchase a policy from Faster Insurance? 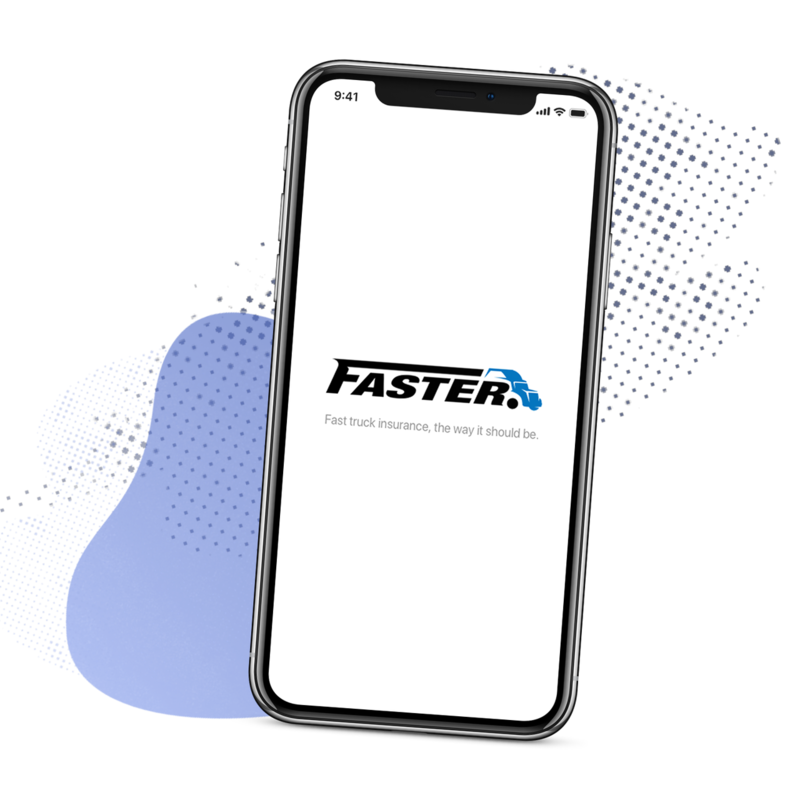 Simply, go to the app store either on Apple (iOS) or Android (Google Play) and search "Faster Insurance" and you can instantly get the coverages you need. Is Faster Insurance an insurance company? No, Faster Insurance represents multiple insurance companies. All of which are A.M. Best A rated insurance companies. So, you can feel good you will be protected. How I request a certificate of insurance? Simply go into your Faster app and click "issue a certificate" on your main dashboard. A request will come directly to our team at Faster Insurance. We will then fulfill the request and send it to your certificate holder. We are proudly located in Iowa City, Iowa. Simply go into your Faster app and go to your main dashboard and click "claims." The claim will come directly to our claim advocates at Faster Insurance and we will submit for you to the insurance companies. Feel free to give us a call or send us an email with your questions or to get a quote! We would love to hear from you, whether you're interested in getting a quote or have questions about our technology. We are people, technology simply makes it easier for you to purchase insurance.